Smart and fashionable, these slim fit boy’s school trousers are made with a better-quality fit and material and an adjustable hidden elasticated waist for your growing offspring. They are produced from resilient 100% pure organic cotton that is kinder on your youngster’s skin and also the environment. Sizes up to 7-8 have no zip fly for safety reasons. 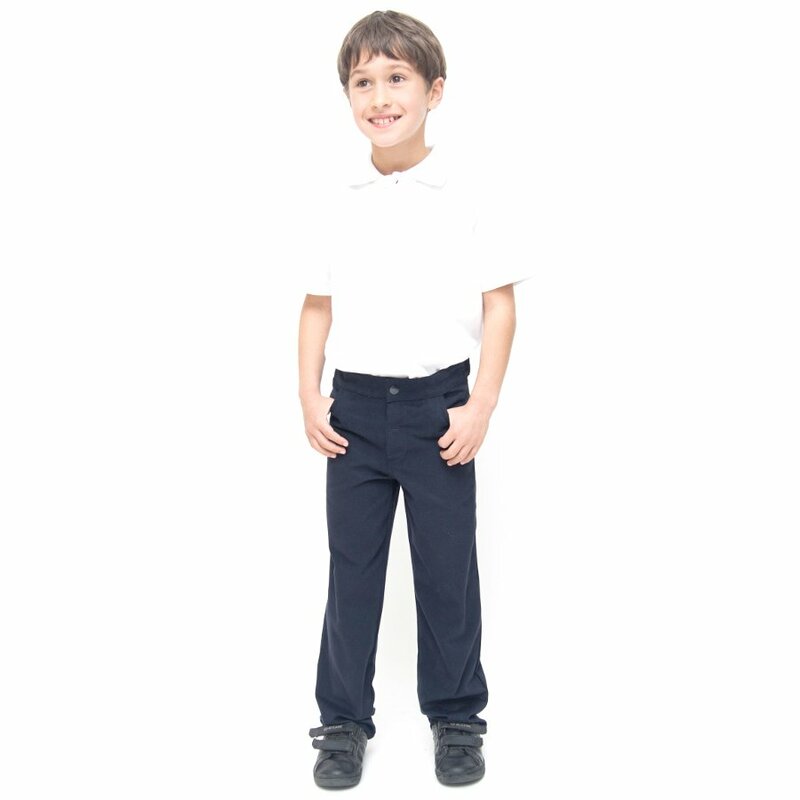 The Boys Slim Fit School Trousers With Adjustable Waist - Navy - Infant product ethics are indicated below. To learn more about these product ethics and to see related products, follow the links below.